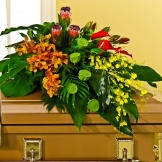 A wonderful tribute to a loved one. 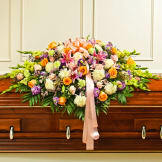 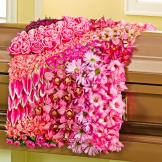 This is a thoughtfully arranged, one of kind, sympathy casket blanket. 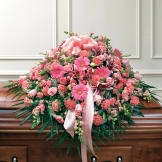 • An absolutely beautiful array of roses, alstroemeria, orchids, gladiolus, mums, aster, carnations, heather and lilies. 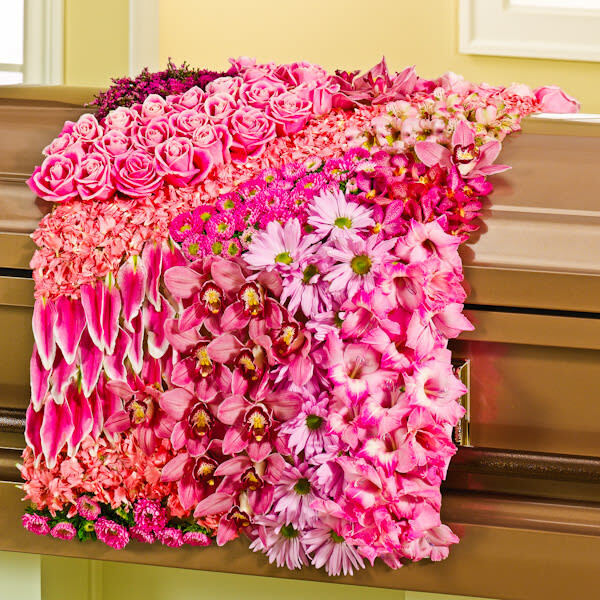 • Measures 2"H x 24"W x 39"D.